An arrest warrant has been issued for Devin Banks. He has been charged with Aggravated Assault with a Deadly Weapon and Tampering with Evidence. HARRIS COUNTY, Texas - The search is on for a 19-year-old suspect who was able to get away from deputies during a chase Friday near Greenspoint. Two other suspects involved were arrested moments after the chase. They have been identified as 19-year-old Pascal Okadigwe and 21-year-old Cristian Lloyd. “The suspects arrested are obviously a threat to the public and two of the three are now off the streets of Harris County. The third suspect as referenced has outstanding warrants and law enforcement will be seeking to apprehend and arrest him. Keeping the citizens of Harris County Precinct 4 safe is our priority.” Constable Mark Herman wrote in a statement. The chase started when Precinct 4 deputies heard several gun shots near the 2900 block of Gears Road. Deputies saw a silver Toyota Camry with multiple people shooting towards the vicinity of deputies and their patrol cars. Deputies attempted to stop the car, but the driver refused. He led police on a chase that ended near the intersection of Gears Road and Greensmark Drive. All three suspects then got out of the car and ran. Okadigwe was quickly arrested after a brief struggle. 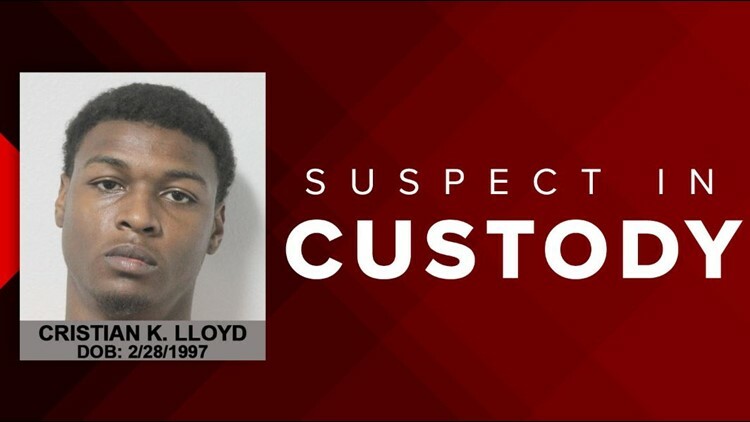 While Lloyd was on the run he assaulted a 60-year-old woman and attempted to steal her car. He was unsuccessful and was later found near a bayou. Deputies continued to search the area for Banks but was unable to find him. During their investigation, deputies learned a 52-year-woman sitting at a METRO bus stop was shot in the leg when the suspects were shooting towards deputies. Her injuries are not life-threatening. 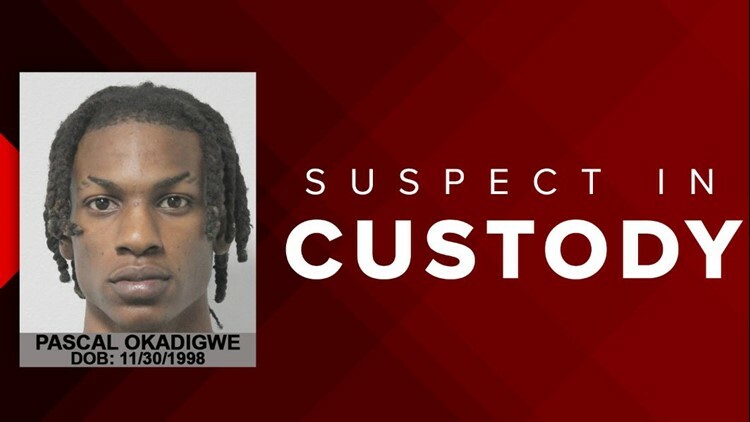 Okadigwe and Lloyd were both charged with Aggravated Assault with a Deadly Weapon, Robbery and Felony Evading in a Motor Vehicle. They were taken to Harris County Jail. Anyone that knows Banks whereabouts are asked to call law enforcement. He is considered armed and dangerous.